Jamaica, Part V. Three Dives. Zubair and I ate jerk chicken at more than a few restaurants and street stands in Negril, but my favourite was at Three Dives (just past the Xtabi on West End Road). We came for lunch one day after a swim (each morning began with a dip in the ocean – how lovely is that!) – and Zubair declared it the best meal of our trip. I much agree. One order each of: 1/4 jerk chicken, rice & beans, and boiled vegetables (cabbage, carrots, and string beans). There were about one million different condiments on each table…all unlabeled. And they all looked quite spicy. So I put in a dash, a dip, a squiggle of everything. Not a bad idea at all! 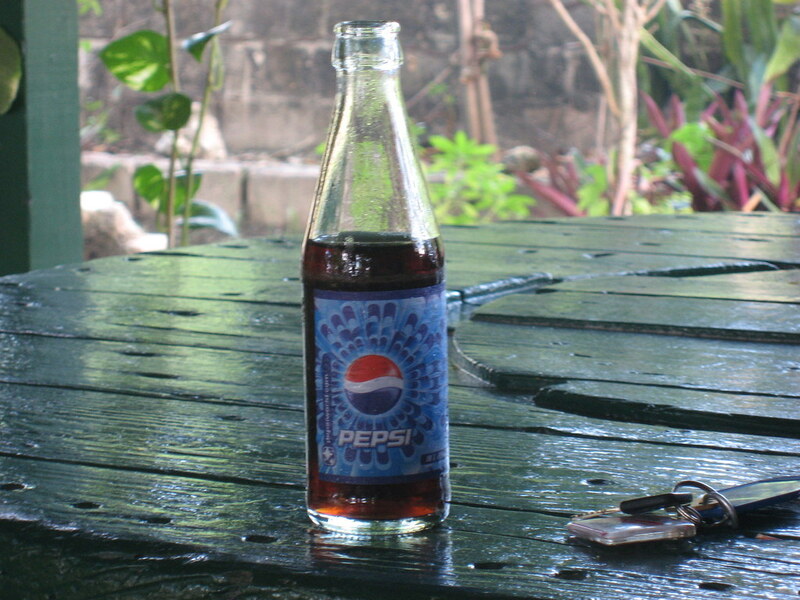 Jamaica, Part IV. Sea Urchins. We spotted a fisherman on the beach in the early morning. He had just come back and his canoe was filled with live conch and fish. 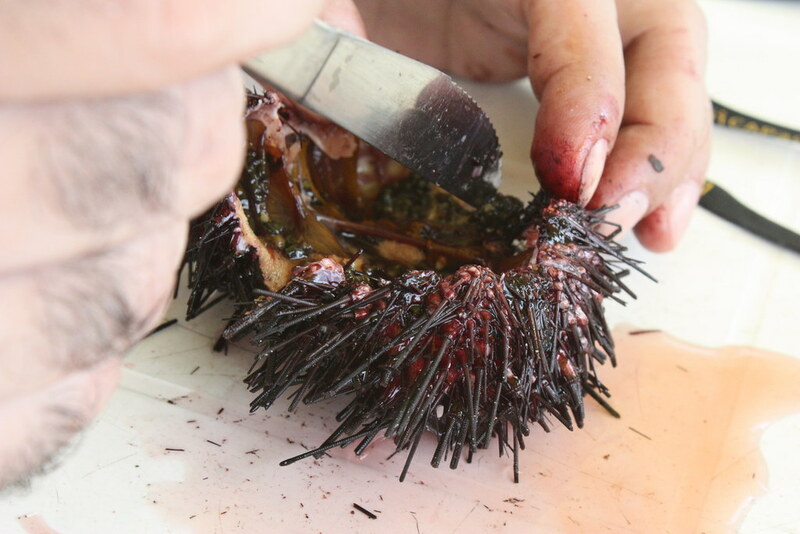 “Sea urchins, do you have any sea urchins?” we asked. Zubair and I had uni on the mind. 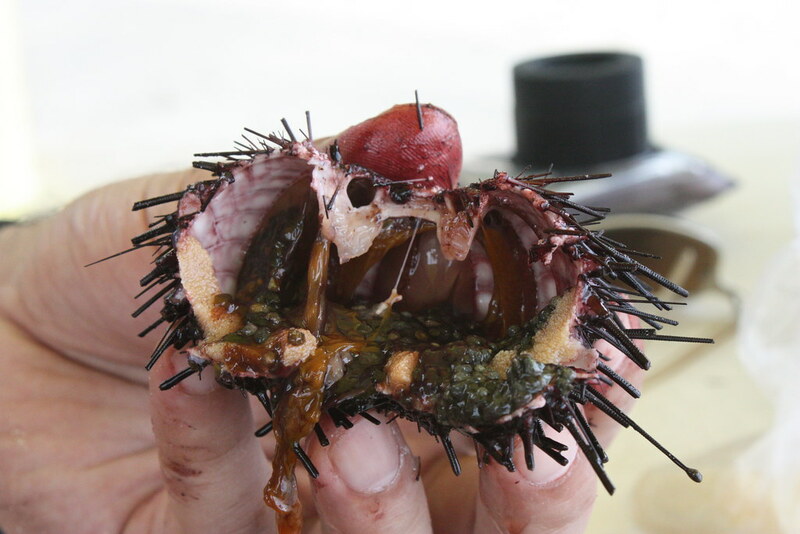 “Sea urchins…to eat?” he responded. He looked skeptical, but said that if we gave him an hour, he could go back in the ocean and bring some back. He came back with TEN. It was spectacular. The spines on the sea urchins were whirring around like crazy. I attempted to pick one up (very stupid) and the fisherman immediately yelled at me to stop. Apparently once the spines poke into your skin, they break off easily and you can’t pull it out of your skin without breaking. Oh, and there’s poison too. Good thing he stopped me! One by one, he moved each sea urchin onto a piece of newspaper and chopped down their spines. It was an incredible process to watch. He eventually made his way through all ten, and then placed them all into a plastic bag for us. Talk about fresh! We only had a metal fork and knife borrowed from the hotel bar. And using those two tools, Zubair managed to pry open and cut through pretty cleanly. …and two. I wanted to take better upclose photos, but it was hard as our fingers were covered in slime ;) We ate about six sea urchins (or, thirty pieces of uni), and then we could take no more. I never thought the day would come where I’d say “no” to more uni! We offered some to people on the beach, but they were rather skeptical and turns us down. What a shame, haha. 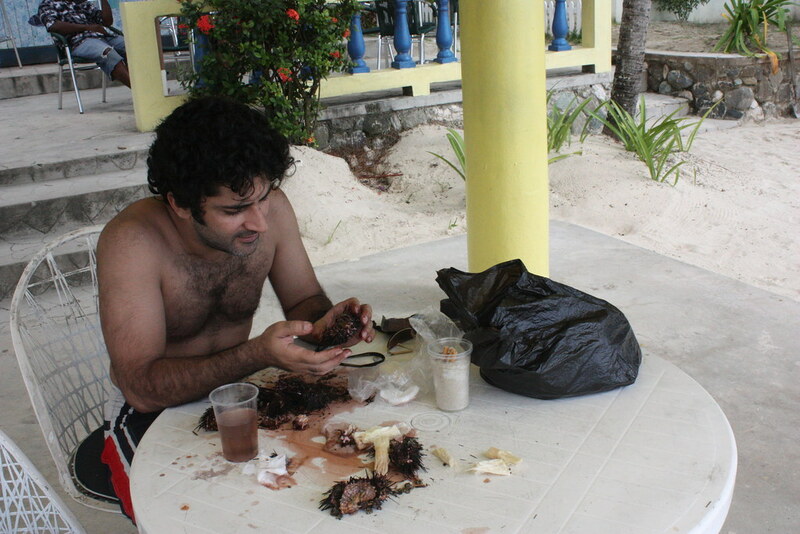 The following day when we went cliff diving, Zubair spotted a TON of sea urchins near the Xtabi.